 Of the many writers I’ve worked with at EdSurge, Wendy is one of the most professional and generous. I’ve assigned and edited more than a dozen of her articles in the past year, and she has never failed to deliver high quality work on time—and often early! Wendy is a confident and skilled reporter and writer. She takes the details of each assignment seriously and does research before beginning interviews, making sure to have a solid grasp of the subject matter. She also doesn’t hesitate to ask for clarification as needed, a trait that I appreciate immensely. On the rare occasion when an editorial project shifts gears midway, Wendy has been flexible and found creative solutions. Wendy makes it easy to get challenging marketing communication projects done. Even when faced with unfamiliar technical or industry concepts, hard-to-reach interviewees, and the most minimal project outline, she quickly focuses on the essentials and delivers work that’s better than you have any right to hope for. As a complement to a busy in-house marketing team, Wendy has the right balance between independence, coordination, and communication. If we can’t write it ourselves, I want Wendy to do it. Why? Wendy is highly professional in her interviews, correspondence and writing. She delivers manuscripts quickly, and her copy needs very few edits, if any. Wendy takes complicated technology topics and makes them readable for our online audience. She’s communicative and personable. I recommend her wholeheartedly.